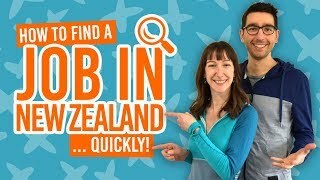 Budget campervan Rental companies to consider for a New Zealand Road Trip. For the outdoors enthusiast, campervan rental provides the ultimate freedom for travelling New Zealand. However, working out a campervan road trip on a tight budget can be a bit of a nightmare with many costs to take into consideration. Nevertheless, we’ll start you off with this comparison of the best budget campervan rentals in New Zealand. The campervan rentals below range between NZ$19-$170 per day, depending on what season you hire the campervans. We’ll go through all the budget factors to think about when planning a campervan trip in New Zealand. To get you started on the road to an awesome New Zealand road trip, take a look at Travel by Campervan in New Zealand: The Ultimate Guide. Before we move onto the best budget campervan rentals in New Zealand, here are few tips of how to budget for a campervan rental. What costs are involved in Campervan rentals? Daily rate – this fluctuates with the season: summer being the most expensive season and winter being the cheapest. Insurance – most campervan rentals in New Zealand have standard insurance included, but you have the option to reduce the excess and bond costs at a daily rate between NZ$15 to $30 per day. However, not all insurance policies are the same so be sure to look into what’s included in your insurance. Young driver fee – some campervan rentals will incur a fee if the driver is under 25 years old. One way fee – most rental companies charge a one-way fee if dropping off the vehicle in a different location from where you picked up the vehicle. Extra drive fee – you may be charged a one-off fee for an extra driver. Premium location fee – most commonly charged for picking up a vehicle from an airport depot. Not all companies will charge a premium location fee. Optional extras – GPS, camping chairs, snow chains, gas bottles and others may be available to hire as an optional extra. For a more in-depth look at budgeting for campervan rentals, take a look at How Much Does it Cost to Rent a Car in New Zealand? Although Wendekreisen are more known for their motorhome rentals, they do offer some affordable smaller campervans and cars with roof tents worth considering for a budget trip around New Zealand. What’s more, Wendekreisen Travel don’t charge one-way fees and RUC (diesel tax) giving you the opportunity to save further. Courtesy transfers to and from airport and city available. Cars with roof tents (not self-contained), a selection of high roof vans (VW T5, Mazda E, Toyota HiAce, etc.) and sleeping up to 2 people. Vehicle age range: 0 to 14 years old. Standard insurance is included with NZ$1500 excess and NZ$1500 bond to pay for drivers over 25 years old or NZ$2000 excess and NZ$2000 bond to pay for drivers aged 21 to 24 years old. 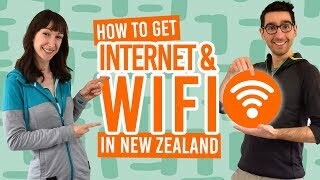 There is th option to upgrade for less excess at NZ$20 per day. You can’t miss these bright green and purple campervans driving all around New Zealand. The great things about Jucy Rentals is the variety of budget campervans available from small and easy-to-drive campercars to medium-sized self-contained campervans. Younger drivers can also benefit by the minimum driver age being 18 years old at no extra charge. Courtesy shuttle available for airport branches offering airport pick-up and drop-offs. Pick-Up/Drop-Off Locations: Auckland, Wellington Airport, Christchurch Airport, Dunedin Airport and Queenstown Airport. Toyota Estima campercar sleeping either 2 people or 4 with a top tent (not self-contained), High rise Toyota HiAce sleeps up to 4 people (self-contained), High rise Toyota HiAce (more premium option) sleeping 3 people and self-contained, and Fiat Ducato motorhomes sleeping either up to 4 or up to 5 people and fully self-contained. Vehicle age range: 2 to 10 years old. Free insurance with NZ$2000 excess and NZ$2000 bond. Or insurance add-ons for NZ$16-$20 per day with less excess and less bond to pay. What’s included in the insurance is clearly stated on the Jucy website so be sure to use this compare with other insurances offered. For the budget-conscious traveller, BANZ Travel Cars is an campervan rental company well worth considering with their choice of fully self-contained vehicles and their more basic sleepervans. If you’re road tripping in New Zealand for a little longer, they also offer buyback schemes – a great alternative to long-term rental. Pick-Up/Drop-off Location: Auckland and Christchurch. Self-Contained Toyota HiAce campervans sleeping up to 2/3/4 people and non-self-contained Nissan Econobus sleeping up to 2 people. Vehicle age range: 8 to 17 years old. Free comprehensive insurance (windscreens and tyres are covered) with NZ$1500 excess for 18-21 year olds, NZ$1000 for 22-25 year olds and 25+ $750 and bond price is same as excess based on age of driver. With affordable daily rates and no one-way fees, there are plenty of ways to save money with The Pod Campervan Rentals. However, you will need to pay for campgrounds and holiday parks (or use free designated campsites) as The Pod campervans are not certified for freedom camping. Pick-Up/Drop-off Location: Christchurch, Queenstown and Auckland. Nissan Vanette or Mazda Bongos campervan sleeping up to 2 people. Vehicle age range: 5 to 9 years old. Free standard insurance with NZ$3000 excess and $500 bond or insurance add-ons for NZ$15-$20 per day with less excess. For an “under the radar” campervan option, consider Piwiwiwi Campervans based in Christchurch. There’s no huge branding on the vans but a hell of a lot of space for surf boards and bike racks area available. Be aware, however, that Piwiwiwi are not open year-round, but they are typically open September to the end of May. High-roof van (Toyota HiAce) which is certified self-contained and sleeps up to three people. Free standard insurance with NZ$2500 excess and $2500 bond or insurance add-ons for NZ$25-$30 per day with less excess and bond to pay. Want to hire a campervan with almost no inclusions? Ok, so Hugo Rentals does things a little different than other campervan rental companies by having a long daily rate and the option to only hire what you need for your road tip. This could work out cheaper than other rental companies so add Huge Rentals into your comparison. Courtesy transfers available during office hours. Pick-Up/Drop-Off Locations: Auckland and Christchurch. Toyota HiAce sleeps 2 – 3 people (not self-contained). Vehicle age range: 14 to 20 years old. Standard insurance is included with NZ$4,000 excess and $3,000 bond to pay. Or there are options to reduce the excess and pay no bond for NZ$22.50 – $35 per day. Upgrade rates depend on driver’s age. Kitted up for freedom camping, Mad Campers is a great option for budget travellers in a comfortably small van for driving on New Zealand roads. All of their vans are certified self contained meaning you can legally freedom camp. Courtesy transfers available in Auckland however, outside of the office hours may incur a transfer charge. Christchurch transfers are subject to availability. Nissan Vanette sleeping up to 2 people and certified self-contained. Vehicle age range: 0 to 9 years old. Free standard insurance with NZ$5000 excess and $2500 bond or insurance add-ons for NZ$15-$35 per day with less excess and bond to pay. (Daily rates are determined by driver’s age). Budgy Campers is the budget range of campervans under Euro Campers. Choose from campercars to high roof campervans to get around the country on a budget. All of their vehicles are certified self-contained, plus young drivers are welcome. Campercars Toyota Estima (budget and premium) sleeping 2 people, campervan Nissan sleeper van style sleeping 2 people, and high top vans (budget and premium) sleeping 3 people. Vehicle age range: 5 to 20 years old. Standard insurance is included with NZ$250 excess of over 21-year-old drivers or NZ$2500 for 18-21 year old drivers. Chilli Rentals has a great selection of budget campervans with modern interiors. They have a few handy free inclusions that are available on request, so be sure to inquire. However, while daily rates are pretty affordable, note that there is a NZ$150 booking fee. Courtesy transfers available to Auckland Airport. Honda Odyssey sleeping up to 2 people, Toyota Previa sleeping up to 2 people, Ford Mondea or Nissan Note with rooftop tent sleeping up to 5 people, Nisan Vanette/Caravan sleeping up to 3 people and self-contained, and Ford Transit (large van) sleeping up to 3 people and self-contained. Vehicle age range: 7 to 18 years old. Insurance is included in the rental with a NZ$3000 bond to pay and NZ$3000 excess. There are options to reduce the excess and bond to pay for NZ$20-$25 per day. Hippie Campers certainly plays the part with their hippy-style vans that are small enough to be easy to drive. The campervans have all the basic essentials, however they are not self-contained so you will need to stay in campsites and holiday parks, rather than freedom camp. Mitsubishi Express L300 van sleeping up to 2 people or high roof Toyota HiAce sleeping up to 3 people. Vehicle age range: 3 to 17 years old. Insurance is included in the rental with a NZ$5000 bond to pay and NZ$3000 excess. There are options to reduce the excess and bond to pay for NZ$27-$44 per day. Tui Sleepervans provide a super budget option for backpackers travelling New Zealand. There’s a self-contained and non-self-contained option for their 2-person vehicles. There is a minimum hire period of 5 days or 14 days during peak season. Toyota Voxy sleeping up to 2 people and certified self-contained or a Toyota Liteace/Noah sleeping up to 2 people (not self-contained). Vehicle age range: 9 to 18 years old. Standard insurance is included with NZ$1,500 excess (NZ$2,400 for drivers aged under 25 years) and same price bond to pay for the Toyota Liteace/Noah. Or NZ$2,000 excess (NZ$2,900 for drivers aged under 25 years) and same price bond to pay for the Toyota Voxy. Escape Campervan Rentals are the budget branch of Travellers Autobarn with artistic-designed campers kitted out for budgeting backpackers. Note that these vehicles are not certified self-contained so be aware that you will not be able to freedom camp. Toyota HiAce on Nissan vans sleeping up to 2 people. Vehicle age range: 7 to 13 years old. Free standard insurance with NZ$2500 excess and NZ$2500 bond to pay. Other insurance options are available at an added NZ$17.50-$27.50 per day for less excess and bond to pay. Mode offers some competitive rates on their small campervan range for backpackers. However, be aware that although Mode offers a pre-paid toll road option for NZ$35 it’s highly unlikely that you will need it it. There are only three toll roads in New Zealand usually costing around NZ$2 each time you use it. What’s more, they are easily avoided. For more information, check out Toll Roads in New Zealand. Courtesy shuttle available for airport branches offering airport pick-up and drop-offs between airports, depot and accommodation in the airport area. Toyota Estima or Nissan Serena sleeping up to 2 people. Vehicle age range: 0 to 10 years old. Free insurance with NZ$3000 excess and NZ$3000 bond or insurance add-ons for NZ$15-$21 per day with less excess and bond to pay. Wicked Campers are famous for their spray-painted designs of obscene profanities but they also provide a budget campervan rental option in New Zealand. However, there are quite a few hidden fees to look out for so we suggest reading their FAQ to really understand what you are being charged for and what’s included in the rental. Pick-Up/Drop-Off Locations: Auckland, Christchurch, Wellington and Queenstown. Toyota car with roof tent sleeping up to 3 people, Toyota Estima sleeping up to 2 people, Nissan Vanette/Toyota HiAce sleeping up to 3 people, premium Toyota people-carriers converted into campercars to fit 2-3 people, and Toyota HiAce/Nissan Vanettes with a rooftop tent sleeping up to 5 people. Vehicle age range: 7 to 15 years old. Insurance is mandatory but not included in the daily rate of the rental. Wicked Campers gives you two options: Pay NZ$100 fixed price for NZ$5000 excess and NZ$3000 bond to pay, or pay NZ$25 per day for NZ$3000 bond and NZ$3000 excess.